As I have talked to a few Cub Scout leaders, I have begun asking, “Do you or your Pack use the Denner system?” Most of the time, the only reply I receive is a scrunched up face of puzzlement. I could have just asked them how their mother was doing in Polish or Russian. They would have understood the question about as well. The Denner and Assistant Denner. The denner is a den member selected to be a boy leader for a short period of time— anywhere from one week to several months. It is a good practice for the den leader to rotate the position of denner throughout the den so that all boys have the opportunity to experience the leadership position. The den leader and den chief determine his responsibilities, which might include helping to set up and clean up the den meeting place; helping with games, ceremonies, tricks, and puzzles; leading a song; or acting as den cheerleader. The denner should be given meaningful responsibilities and recognition to help him learn how to be a leader. The denner wears a shoulder cord on the left shoulder. Some dens also have assistant denners who assist the denner and may move up to the denner position after his rotation. Boy Scouts of America. Cub Scout Leader Book, Kindle Locations 855-862 (2015-05-10). One of the biggest drawbacks of Denners for the novice Den Leader is the feeling of loss of control. Focusing the Den Leader’s attention on the Denner while the rest of the Cubs are at risk of running amock seems dangerously close to inviting chaos. These new Den Leaders believe the most important part of their job is control. For elementary school teachers turned Den Leaders this loss of control may be a life-threatening condition. [The Scoutmaster] must deal with the individual boy rather than with the mass. He then needs to promote a corporate spirit among his individuals to gain the best results. The Scoutmaster who is a hero to his boys holds a powerful lever to their development, but at the same time brings a great responsibility on himself. They are quick to see his smallest characteristic about him, whether it is a virtue or a vice. His mannerisms become theirs, the amount of courtesy he shows, his irritations, his sunny happiness . . . are not only notice but adopted by his followers. With scarcely a word of of instruction his boys will follow him. In many ways these lessons are even more true of Den Leaders, who are setting the future tone for how a scout interacts with today’s Den and tomorrow’s Patrol, his real home in scouting. The Den Leader must interact with the individual and instruct him. Then the Den Leader can encourage the Den as a whole to work as a team. The position of a Denner is the most powerful means of accomplishing these lessons. As the Den Leader gives the Denner supportive words of encouragement and advice to prepare for the next 5-10 minutes of activity, the Den hears the advice. The Den realizes that the Denner is speaking with the Den Leader’s authority by seeking quiet. When the Den Leader encourages the Denner to hold up the Cub Scout sign to get attention and quiet, the Den Leader’s modeling of silence and following the Denner’s example is powerful. The point of the exercise is for the adults to empower the youth. The Denner raises his hand. The Den Leader follows the example. Both stand still for 10-15 seconds to watch the results. In most situations (after the first few months of Tigers, that is), patience will cause the room to be quiet. When there is one disruptive Cub in the back of the room, the Den Leader can nod at the Denner to start. The Den Leader can then take 10 seconds to talk quietly to the disruptive Cub about remembering the purpose of the sign. What does the group learn? The Denner has real authority. The Den Leader will back up the Denner’s authority. What does each future Denner want? That feeling of real authority, backed up by the adults. Past Denners are more likely to be better followers. They have learned the frustrations of a room of chaos. They are more likely to be better students when the Den Leader quietly rebukes them, “Remember when you were a Denner. Did you enjoy when the other Scouts would not listen to you? What do think our current Denner feels?” The past Denner wearing his gold tab is more likely to learn the lesson of being a better follower. Exceptional past Denners will actively and continuously work to support the current Denner. More commonly it will happen in fits and starts, but it will happen in ever increasing amounts. The Den Leader undermines the Denner by saying anything while the Denner seeks to obtain control over the room. Adults who yell, “The sign is up!” miss the entire point of the sign. These adults are trying to exert their authority. Unfortunately, what they end up doing is unintentionally conveying the message to the Cub Scouts that the Denner has no real authority. The Denner is just window dressing. In the autumn, a Denner can be a major headache for a novice Den Leader. The Den Leader has a lot to teach but has even more to learn. Having to deal with youth “middle management” seems highly inefficient. Scouting is not about efficiency or “getting things done.” More lessons are learned in failures. The failure is an opportunity to discuss what happened, what went wrong, and what can be done next time to avoid the problem. 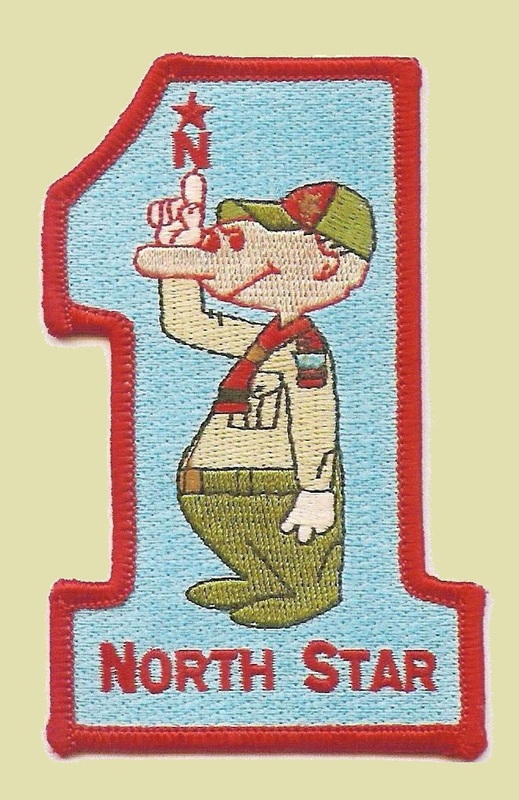 In Boy Scouts, this is called “Stop. Start. Continue.” What should the Den stop doing? What should the Den start doing? What should the Den continue doing? These moments of reflection are where the magic of scouting happens. Not the activity. Not the micromanagement. Not the appearance of efficiency or control. The magic is in the youthful chaos, where experiences are had, problems arise, solutions sought, discussions had, then lessons learned. 1. Use the denner system within the den. Boy Scouts of America. Cub Scout Leader Book, Kindle Locations 1327-1328 (2015-05-10). Use the Denner as a method of creating opportunities for real lessons. This entry was posted in Adult Education, Cub Scouts and tagged Denner.